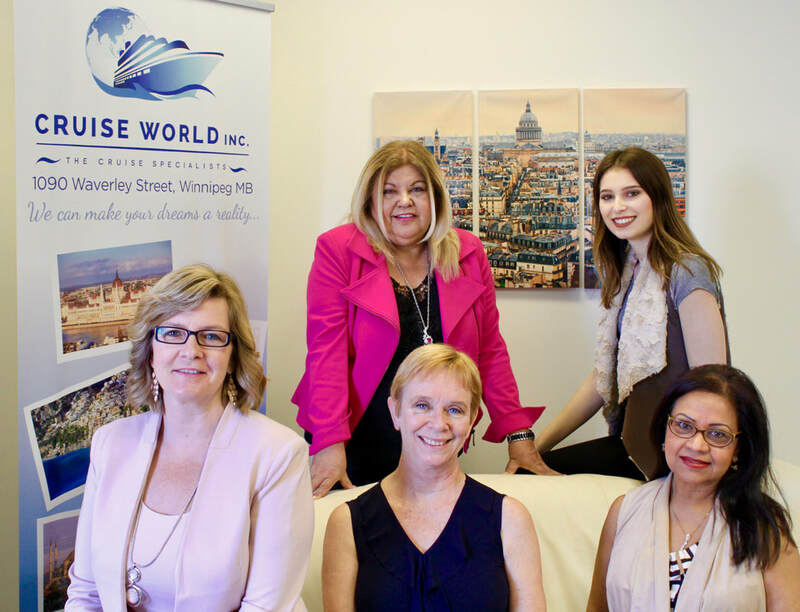 Cruise World is an award winning Travel Agency, in business for 26 years. We specialize in cruises and we know the industry very well. Our Accredited Cruise Counsellors have been on hundreds of cruises on almost every major Cruise Line. As a Full Service Travel Agency we can customize all types of travel, by land & sea. We have personally travelled to many worldwide destinations and are happy to share our recommendations. ﻿﻿﻿Christa has a passion for travel, and a strong desire to share this with others. She has been in the industry for over 25 years’ and she has seen some amazing sights. Christa has specialized in Cruises and is certified with CLIA (Cruise Lines International Association) as an Accredited Cruise Counsellor. Not only has she has organized and escorted many group cruises and tours﻿, but she is also the owner of Cruise World. Christa has sailed on Seabourn, Regent Seven Seas, Avalon Waterways, Windstar, Celebrity, Holland America, Royal Caribbean, Princess, Disney, Norwegian and Carnival Cruise lines. Her knowledge and experience can be used to analyze your needs and arrange a vacation package, land tour, escorted group or a cruise that will exceed your expectations. Loretta has been in the travel industry for 29+ years. She leans more to the adventurous side of travel which takes her to some of the more Exotic & Unique Vacation Experiences. Whether enjoying a trek in Iceland or discovering Alaska’s scenic glaciers by helicopter, or white water rafting in the Dominican, she can assist you in planning your dream vacation. She has experienced the culture of Morocco, Oman and the dazzling skylines of the cosmopolitan Dubai. Loretta has spent time exploring the cultural side of Thailand & Bali. Central America took her to Belize & Costa Rica where she spent time sailing and snorkeling and lazing on the black sands. Loretta has sailed with Crystal, Windstar, Princess, Holland America, Royal Caribbean, Carnival, Celebrity, Disney, Sunbird, Stella Solaris (in the Greek Islands) and A ‘Rosa Cruise Lines. Christmas is a magical time on the Danube River. She has cruised around the Tahiti Islands and extended her stay in an Over-Water Bungalow. Her sailings have taken her to the Mediterranean several times with extensions in Venice, Rome and Athens. As a certified Travel Counsellor with extensive experience, she is well qualified to assist you with organizing travel arrangements for individual or groups. 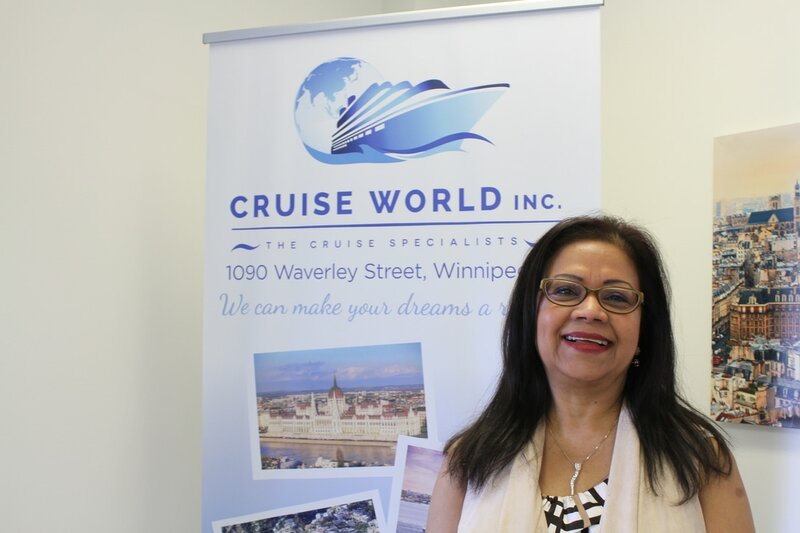 Zinny has been a Senior Travel Consultant for 19 plus years in Winnipeg. She is the recipient of six "Awards of Excellence" for sales and knock your socks off customer service! She was born in Trinidad and Tobago and has extensive travel knowledge of the Caribbean Islands, and is a Certified Sandals Resort consultant. Zinny has cruised the Caribbean on Carnival, Princess, Royal Caribbean International, Fathom and Celebrity cruise lines and on the Yangzi River as well. She has travelled to Australia, China, Malaysia, Turkey, Greek Islands, Hawaii, Mexico, England, Scotland, Thailand, and Hong Kong. Zinny has consulted to many destination weddings and group vacations, and has been an excellent travel resource to both her Business and Pleasure customers. She is a dedicated and hard working Travel consultant and treats every customer with promptness, patience and the highest level of "knock you socks off customer service" she looks forward to serving you soon! Elaine has seen a lot of the world with almost 30 years in the travel industry. She has travelled to : Europe( Amsterdam, Austria, Italy, Greece, France by Rail Europe and Eurostar Paris to London) Insight Vacation coach tour through Germany and Dan Tours coach through Israel. River boat cruise in France and the Greek Islands. The Mediterranean, a few Caribbean and Alaska cruises as well the Rocky Mountaineer from Calgary to Vancouver. She has been to Disney World, Disney Land, Disney Tokyo, and Euro Disney France. Got some tanning done in Oahu, Maui, Kauai, Grand Cayman, Antigua, Grenada, St. Kitts, Barbados, Cuba, and Jamaica. Explored Hong Kong and did 1 month of travelling through Japan. She has visited Toronto, Montreal, Vancouver, Las Vegas, Florida, San Francisco, Atlanta, and Telluride. She has many Specialist designations that can help arrange a perfect trip for you.